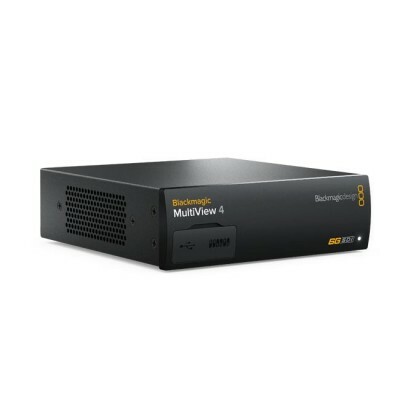 Blackmagic Design MultiView 4 has four completely independent 6G-SDI inputs that work with all SD, HD and Ultra HD formats up to 2160p30. Simply connect your sources and you’ll get a standard 2x2 grid view on an HD or Ultra HD television. Using the included Ethernet remote control software, you can turn on audio meters, choose which audio to output, as well as create custom labels, and more! MultiView 4 is compatible with the Teranex Mini Rack Shelf so you can use it on your desktop or rack mount it. 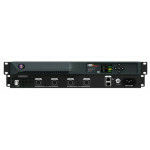 You can also add an optional Teranex Mini Smart Panel for front panel control! 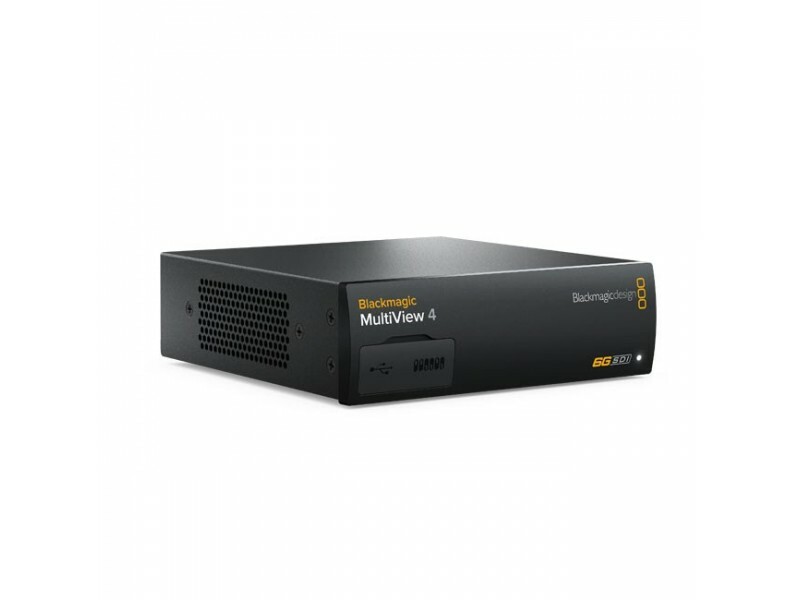 For the ultimate in broadcast reliability and redundancy, you can power MultiView 4 via the AC connection as well as power over Ethernet!